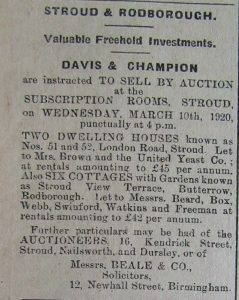 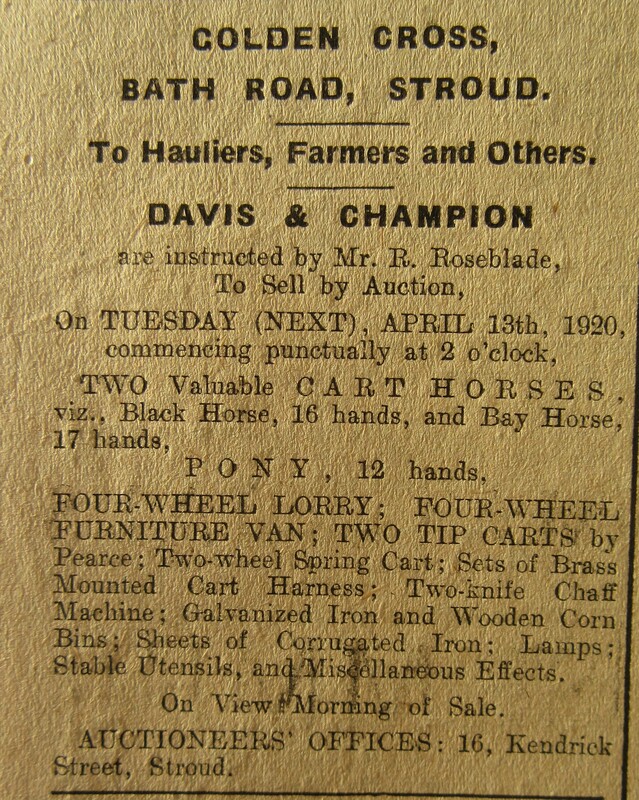 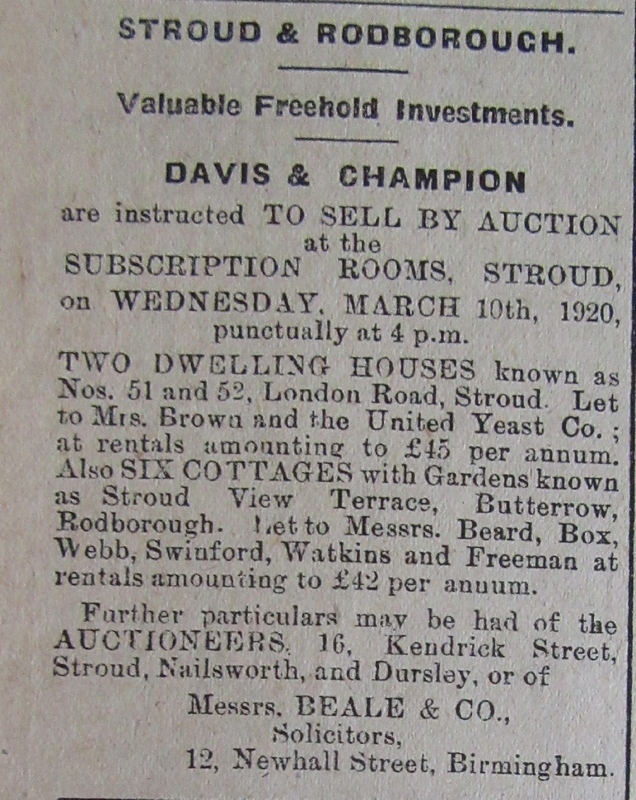 These excerpts are from the Stroud Journal – an alternative perspective may be seen from the reporting in the Stroud News. 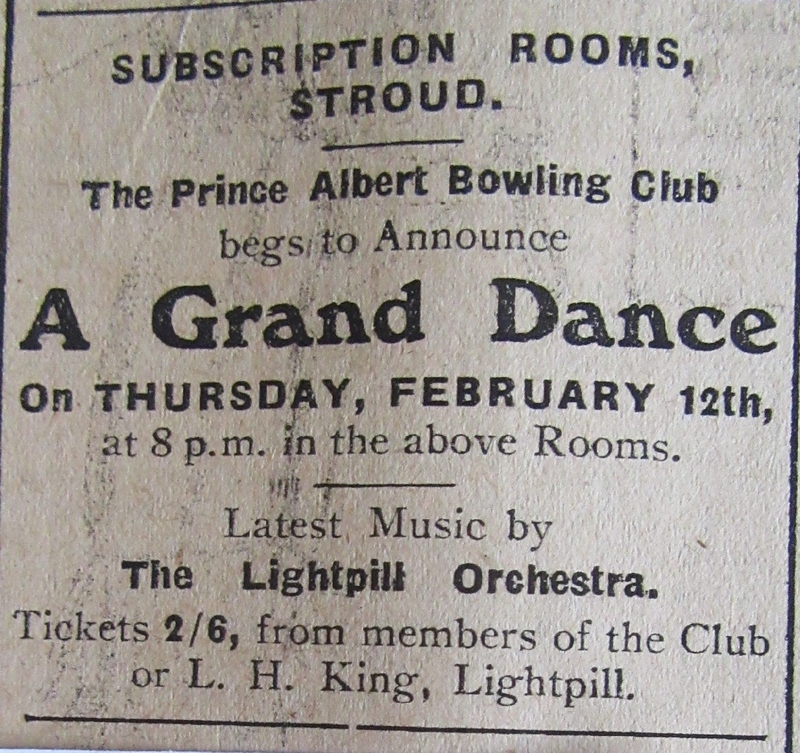 The Lightpill Orchestra played for the Prince Albert Bowling Club dance. 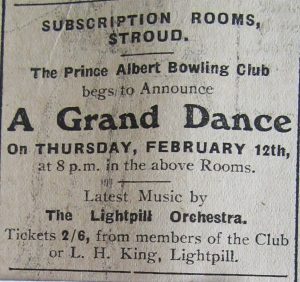 Does anyone have any more information about them? 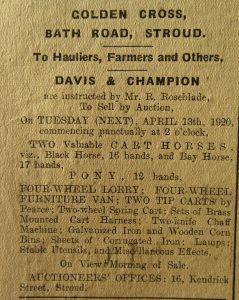 Damage to the mowing grass in Rodborough Fields, property of Farmer James was dealt with by Stroud Police Court. 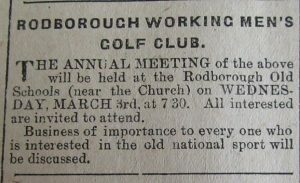 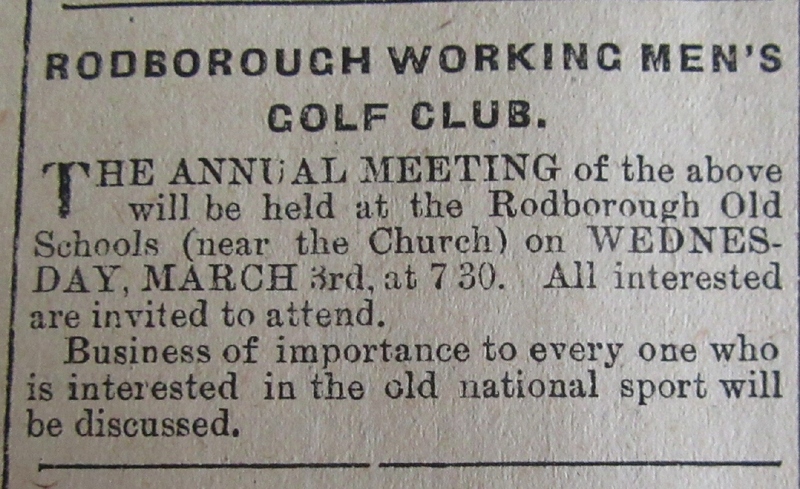 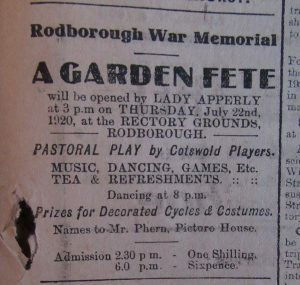 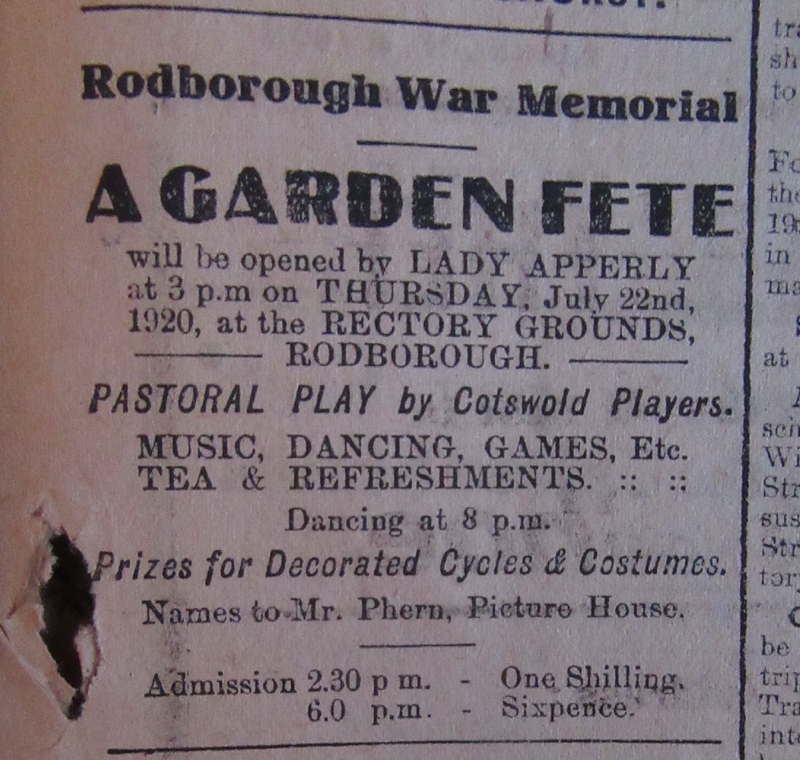 Fundraising was underway to built a war memorial hall (clearly it never materialised!). 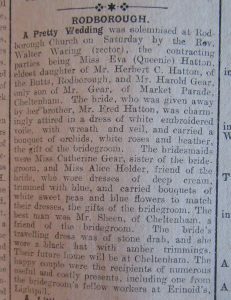 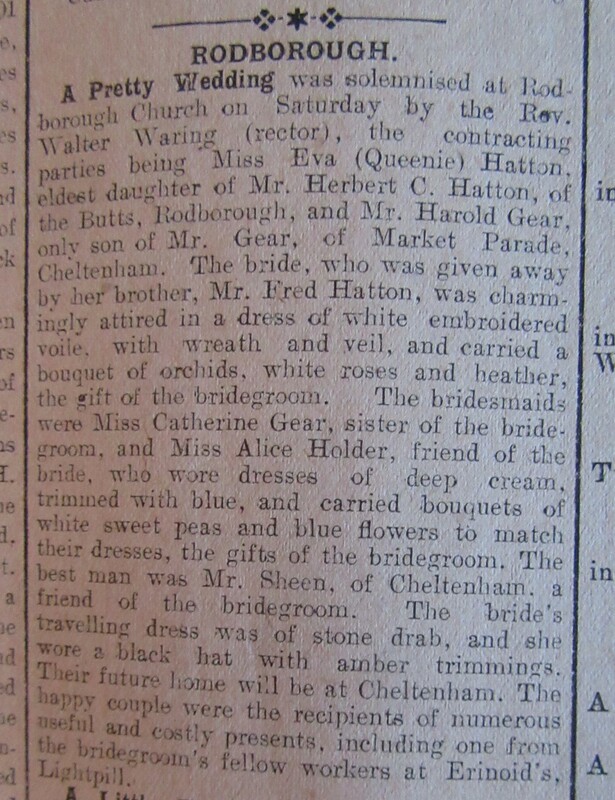 Eva (Queenie) Hatton of The Butts was given away by her brother Fred who was also recently married. 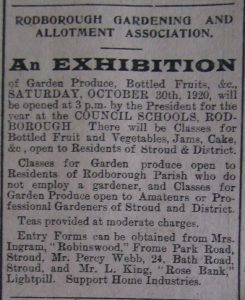 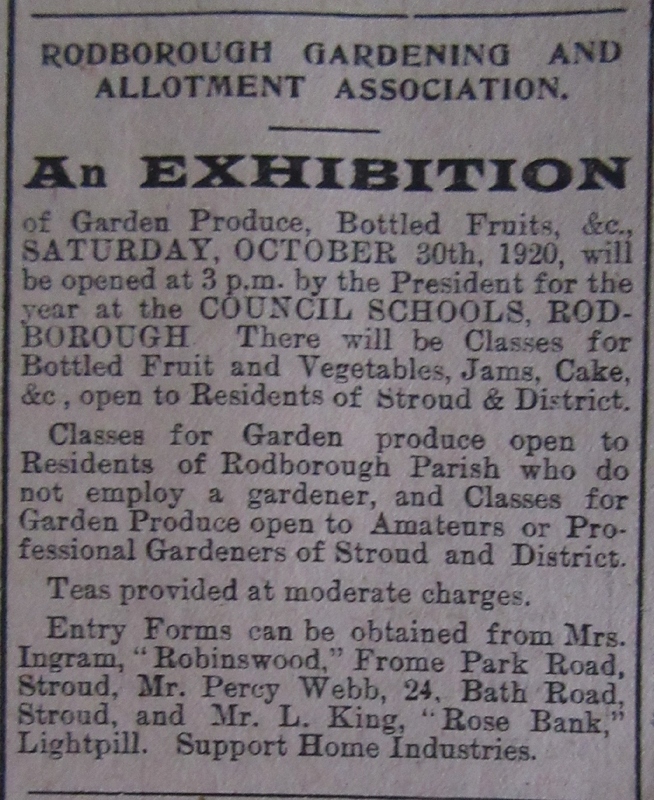 The gardening exhibition was first held during the First World War as a result of Food economy measures.